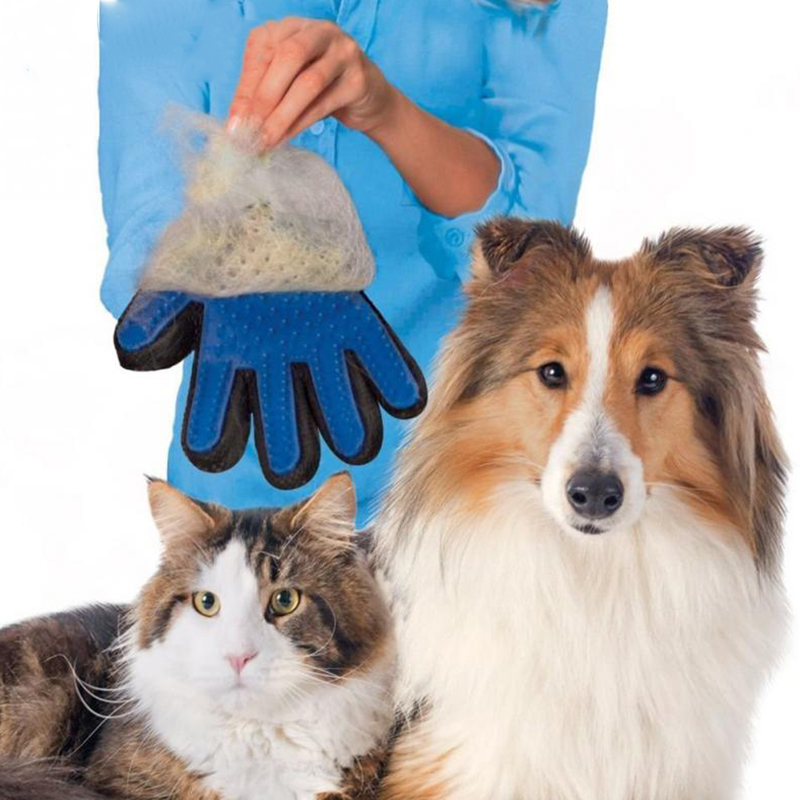 The advantages of pet grooming gloves over brushes and combs is their flexibility. They can get into tight spaces and contours on your pets body. 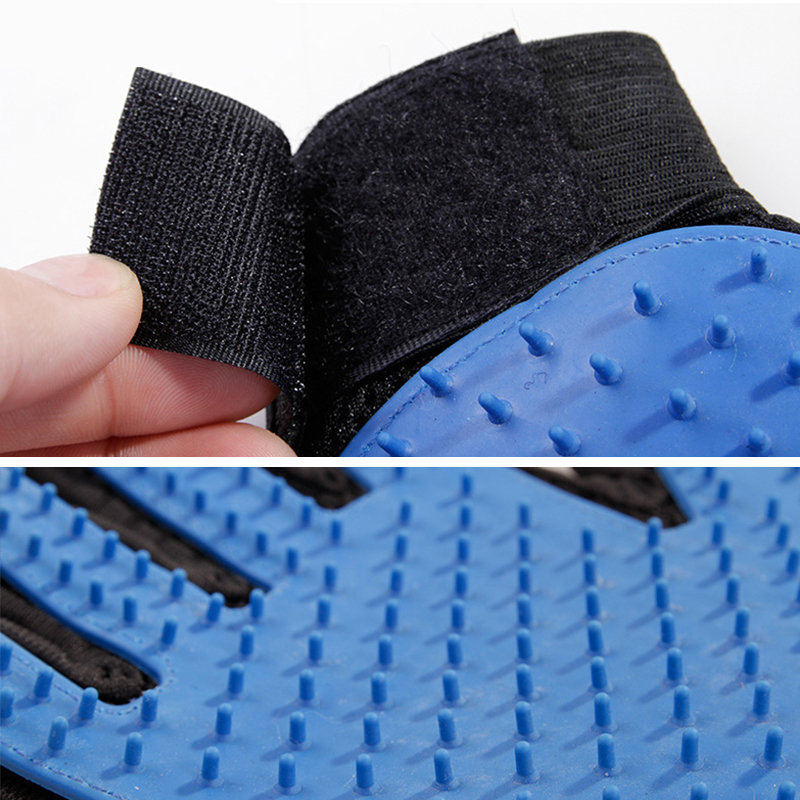 A flat grooming panel will not flex like the 3D grooming surface of the gloves. 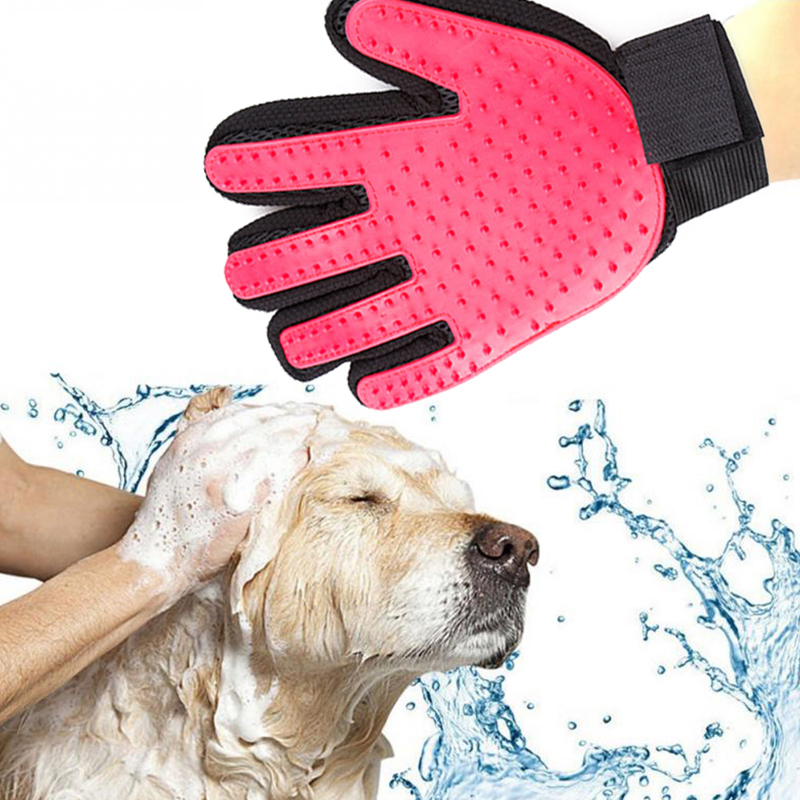 Another of the interesting features of pet grooming gloves is that they won’t shock your animal with unwanted static electricity built-up during the grooming process. This property is designed into the materials used to make pet grooming gloves and determines the ‘stickiness’ of the grooming surface for the shed hair. 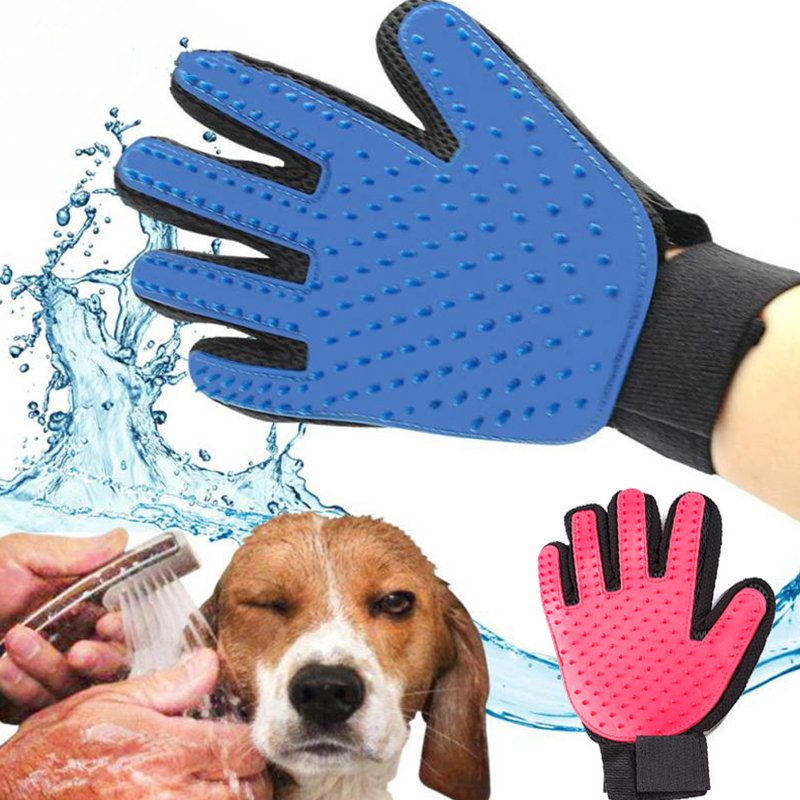 Pet grooming gloves can be used wet or dry. This will be an attractive feature for you if you have an animal that likes to get messy. Improves Health: Five finger design with silicone tips assists you to get deeper and massage your pets. Improves their blood circulation. Compatible For Dogs/Cats: Compatible with right hand or left hand. Mimics the love, care and feel of your hand. Works great with dogs and cats. Easy Clean Up: When you give your pet a massage, the shedding hair sticks to the glove, which making cleanup easy. 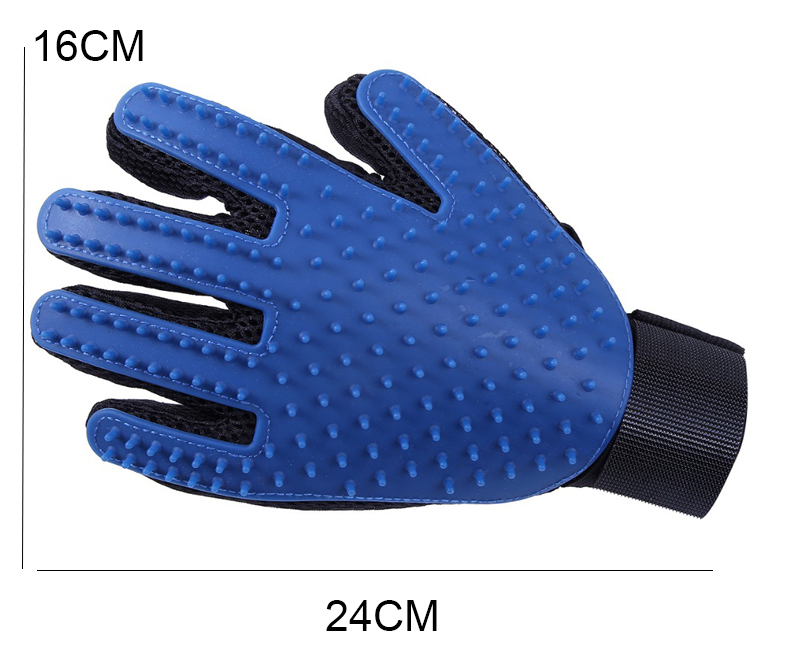 No Skin damage: This glove uses soft rubber ensure gentle massage and grooming without painful removing of fur or scratching the skin. 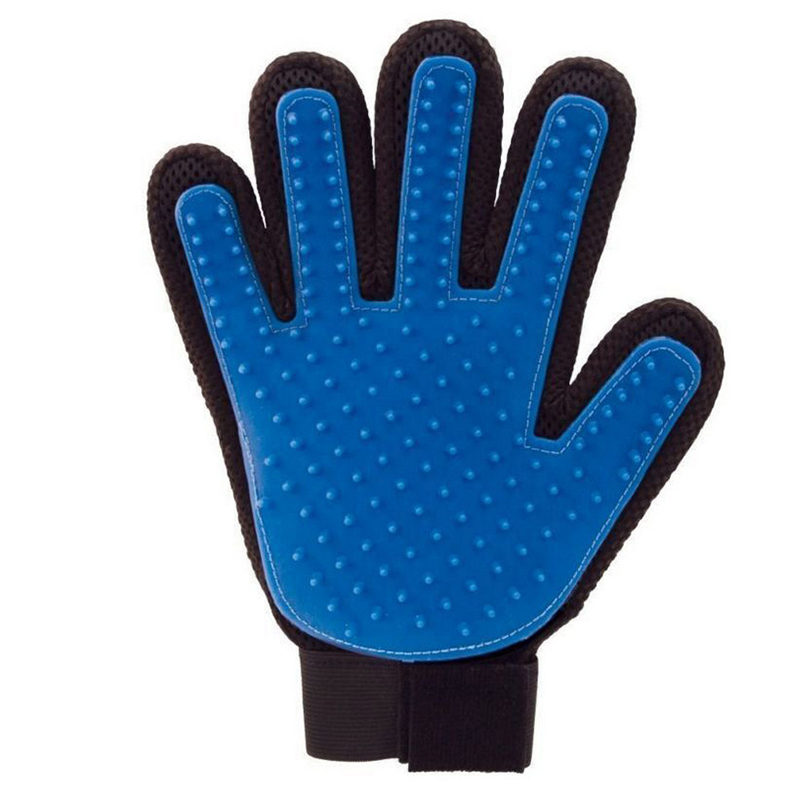 The glove surface is soft silicone, which massage the skin for a healthy top coat and gently fix nasty tangles while lifting dirt from the fur. 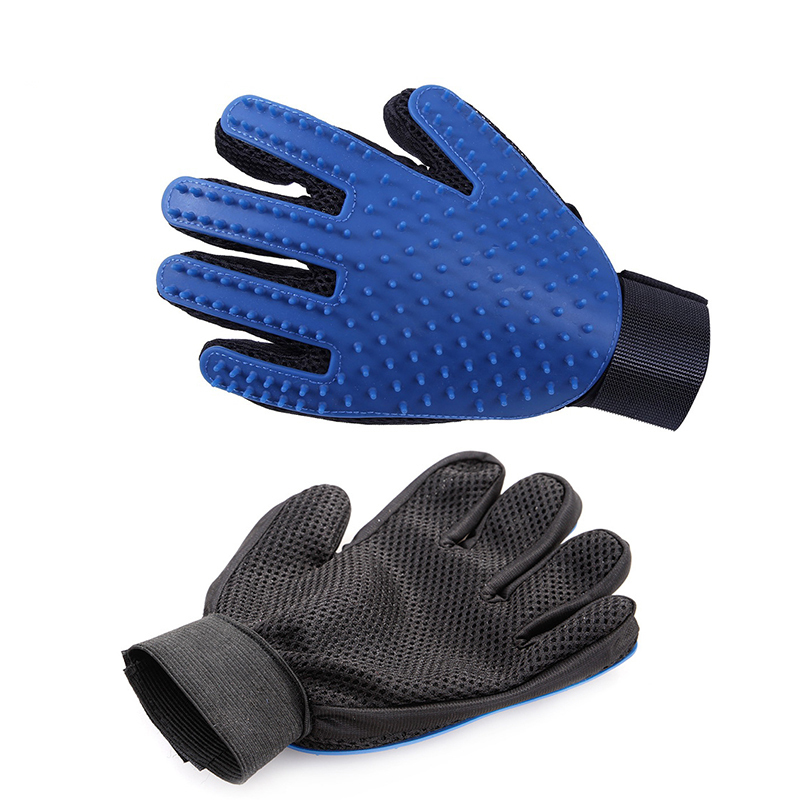 The back of the glove is a durable and breathable mesh. Easy to use: The ergonomic handle makes it very easy to use. Soft and comfortable soft-rubber grip and specially designed quick- release button to remove loose hair from the brush.